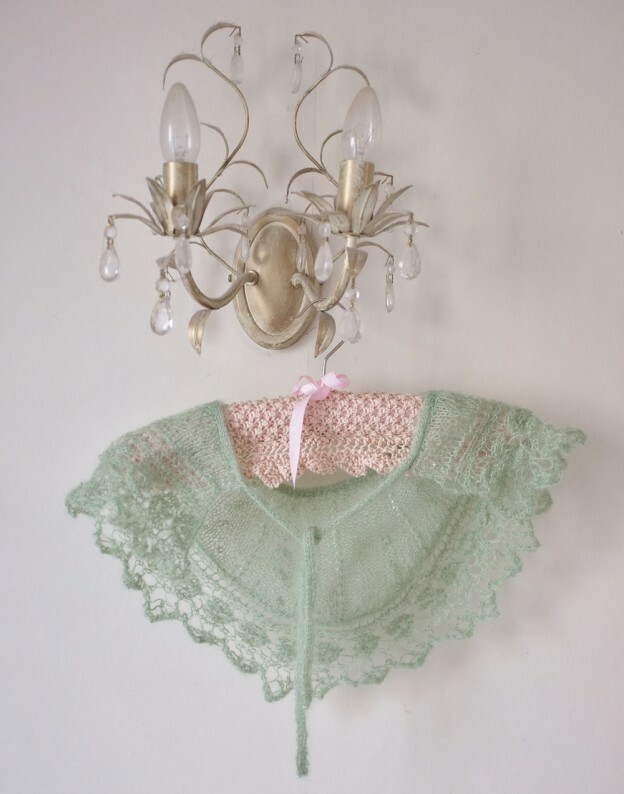 I decided to put together a collection of patterns – some old and some new – that use the same lace patterns, beads and yarn. 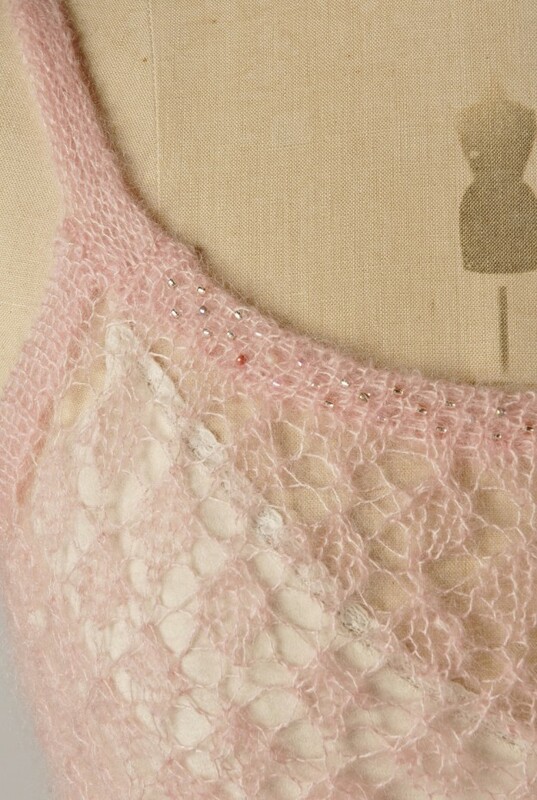 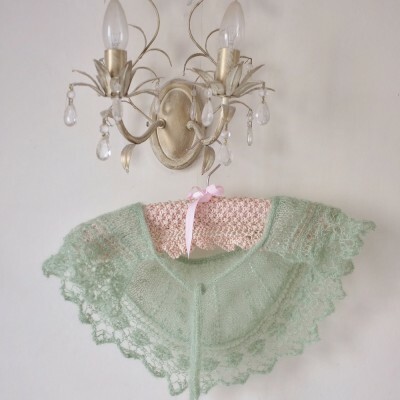 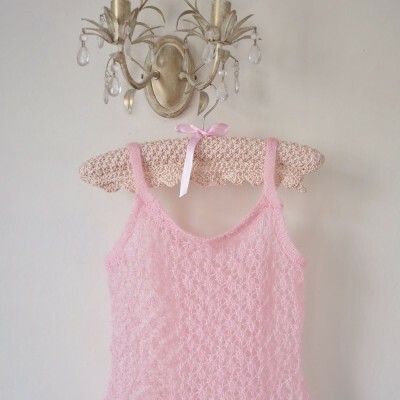 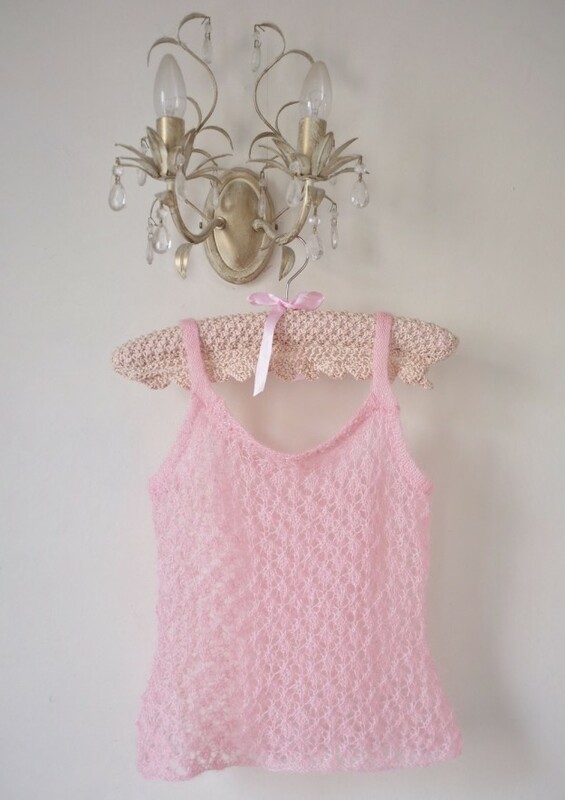 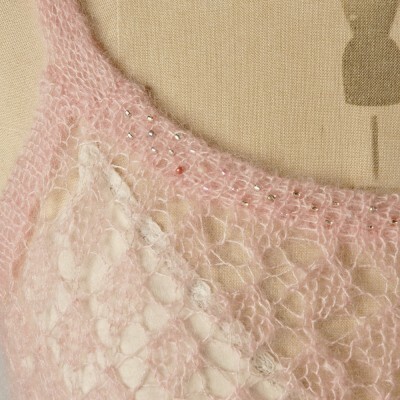 The booklet includes instructions for Butterfly Dress, Beaded Shrug, Capelet, Lace Vest and Lace Shawl, as well as images, a lace chart and illustrations for knitting with beads. 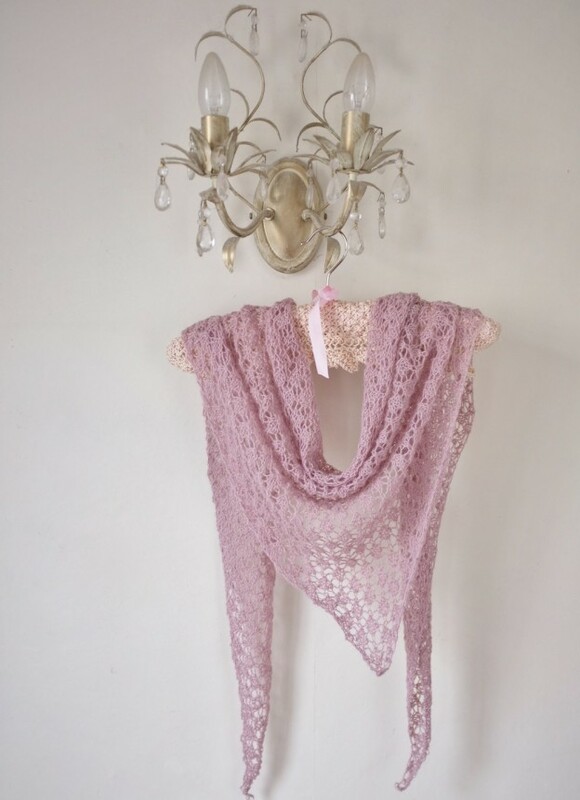 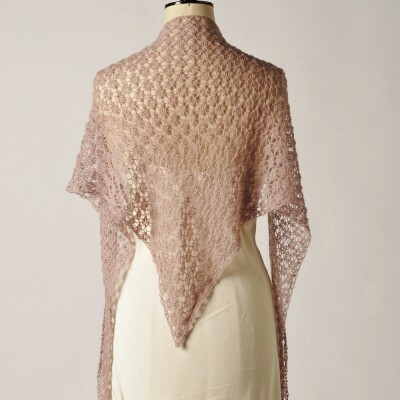 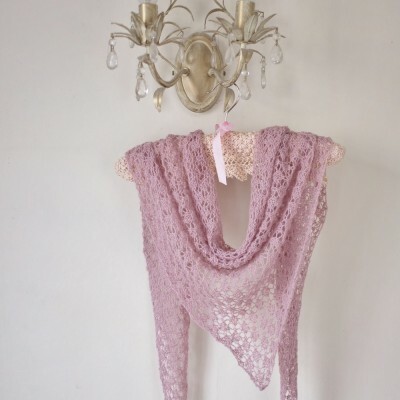 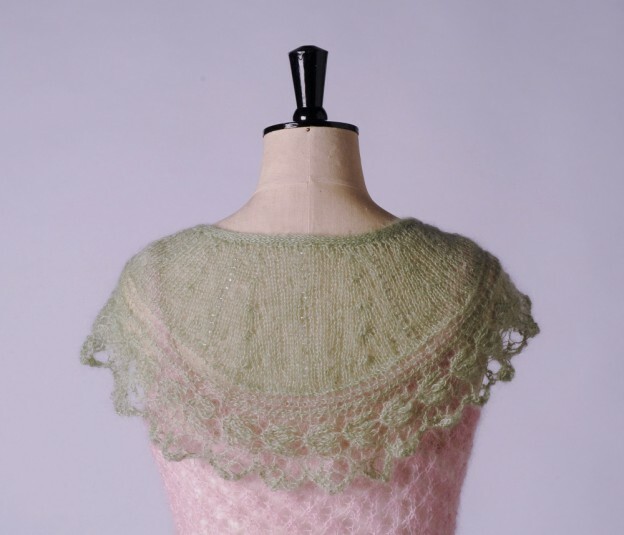 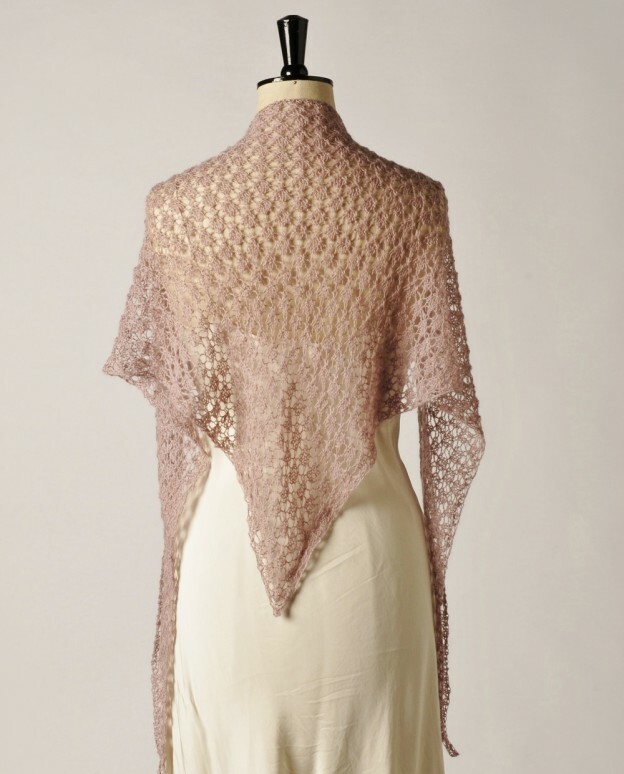 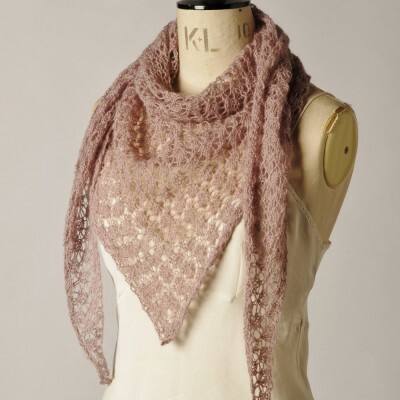 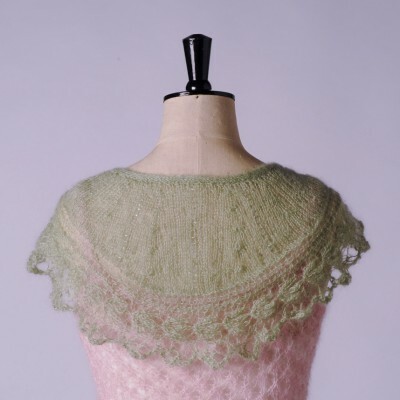 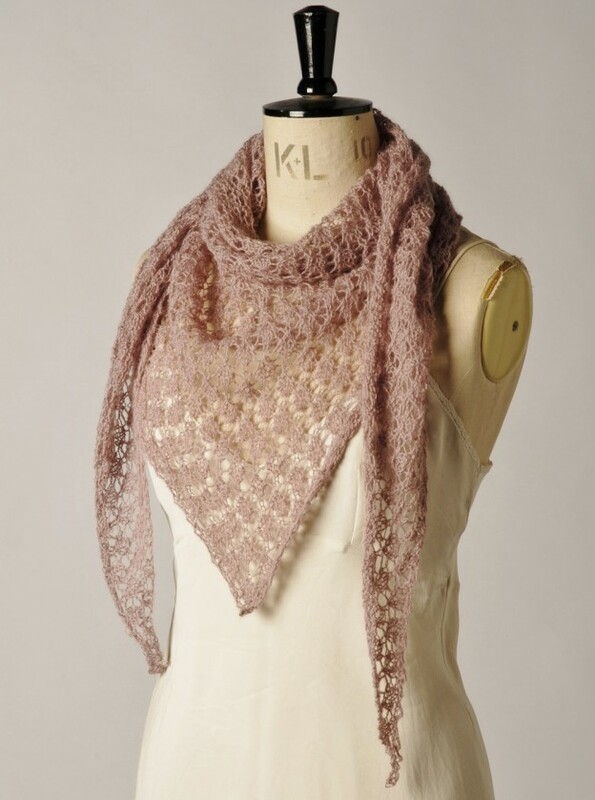 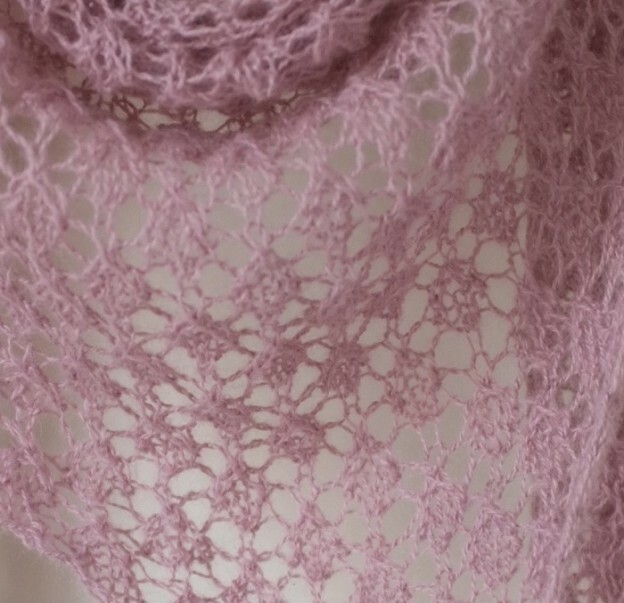 Yarn: For most of the items I’ve used Rowan Kidsilk Haze – a fine mohair/silk blend, but I’ve used Rowan Fine Lace – a laceweight alpaca/wool blend – for the shawl, so in theory you could use either yarn type for any of the designs. 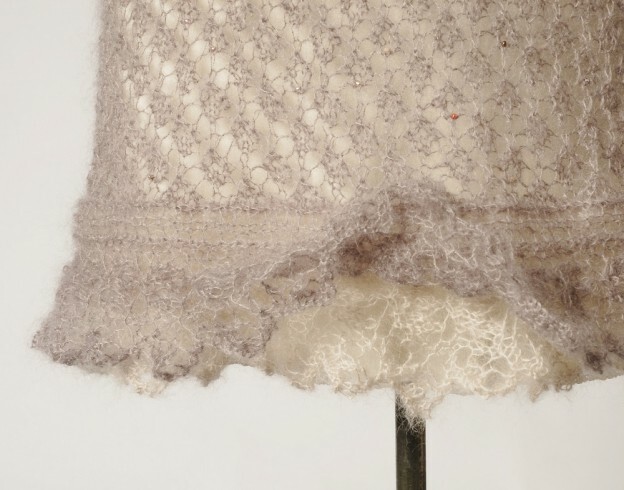 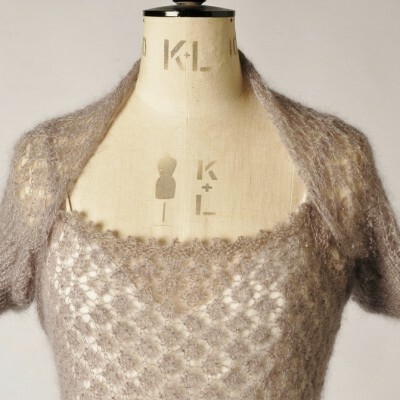 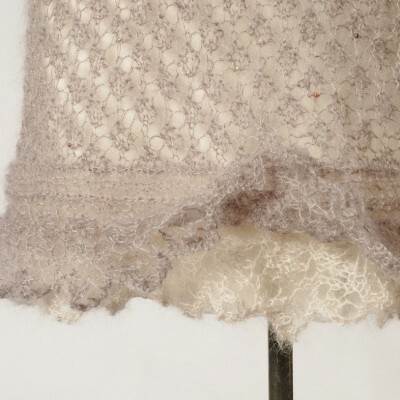 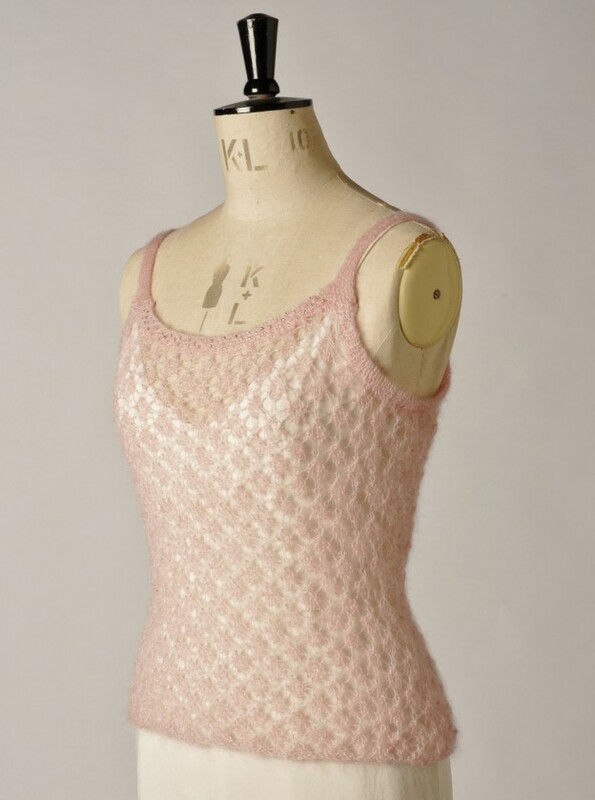 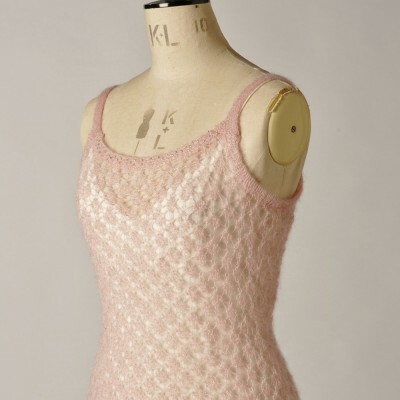 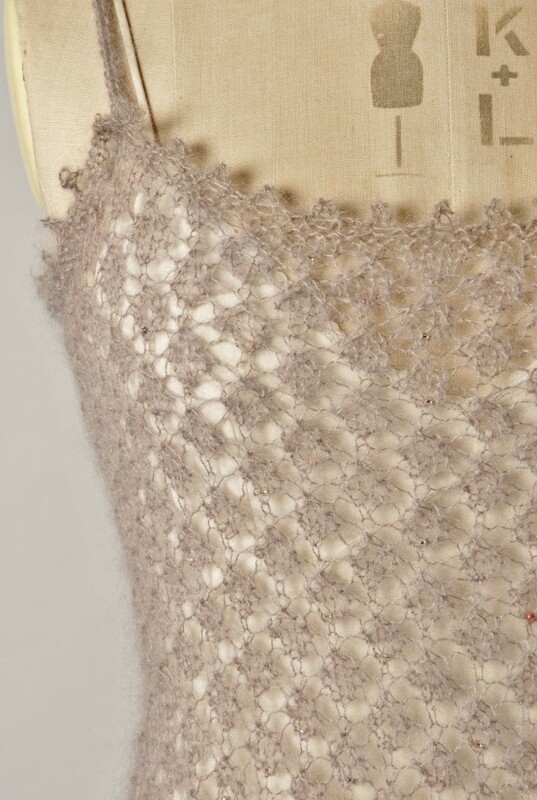 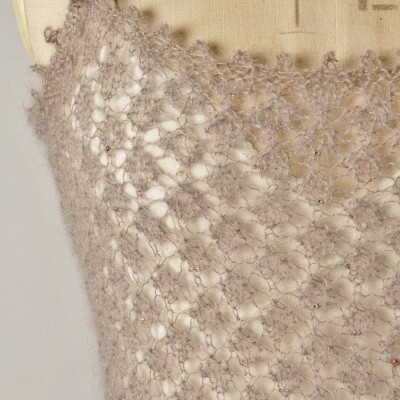 The fluffiness of the mohair gives a more ‘solid’ finish, so bear this in mind if making the dress, vest or shrug in a smooth laceweight. 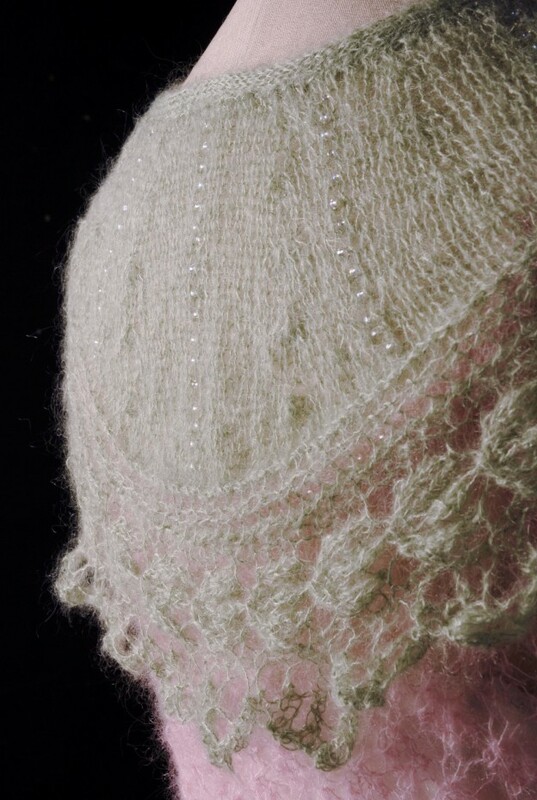 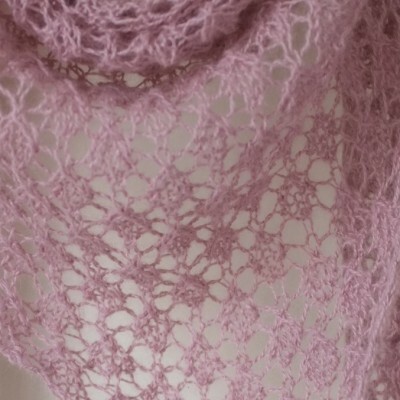 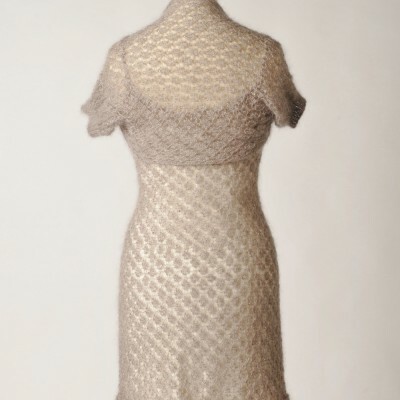 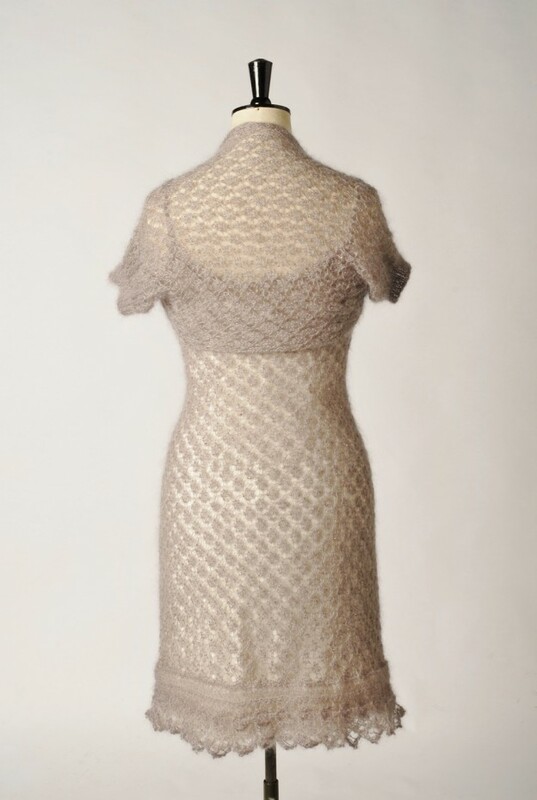 Tension: All pieces are knitted to a tension of 17sts and 24 rows to 4″ (10cms) using 5mm (US8) needles. 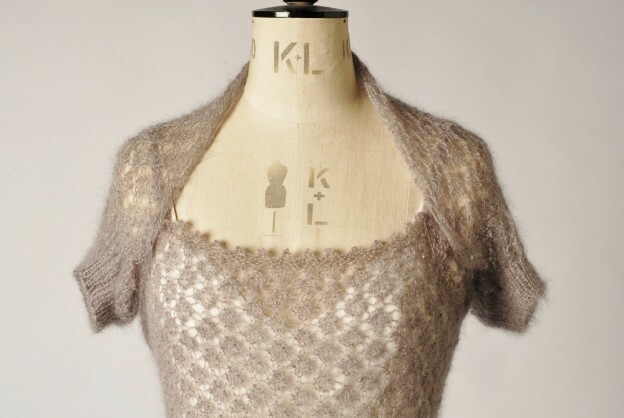 Needles etc: Refer to individual patterns for needle sizes.